Large reflective strips and fluo textile meet European high visibility standards. The design highly appreciated by our customers for its properties of comfort, robustness, lightness, remains rather similar to the previous model. Originally designed for motorcycle school’s students that are used to wear a yellow bib. 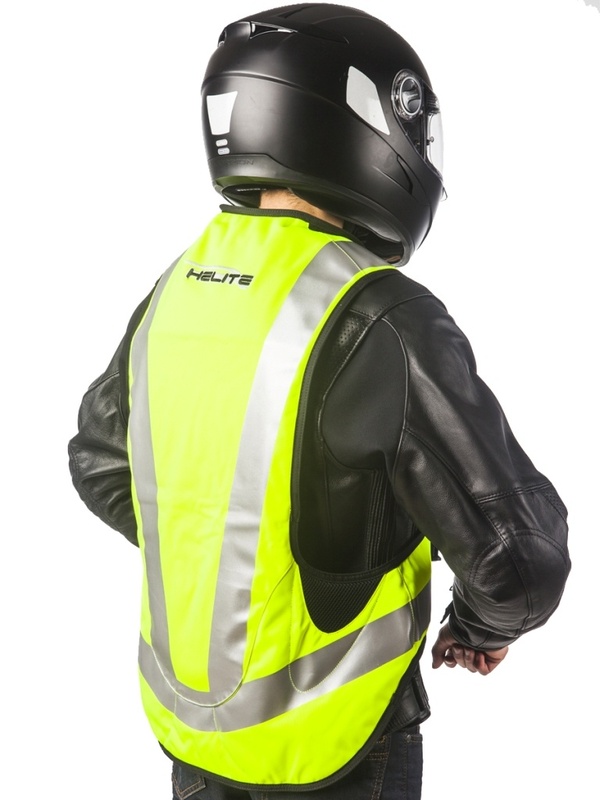 High visibility has been proven. 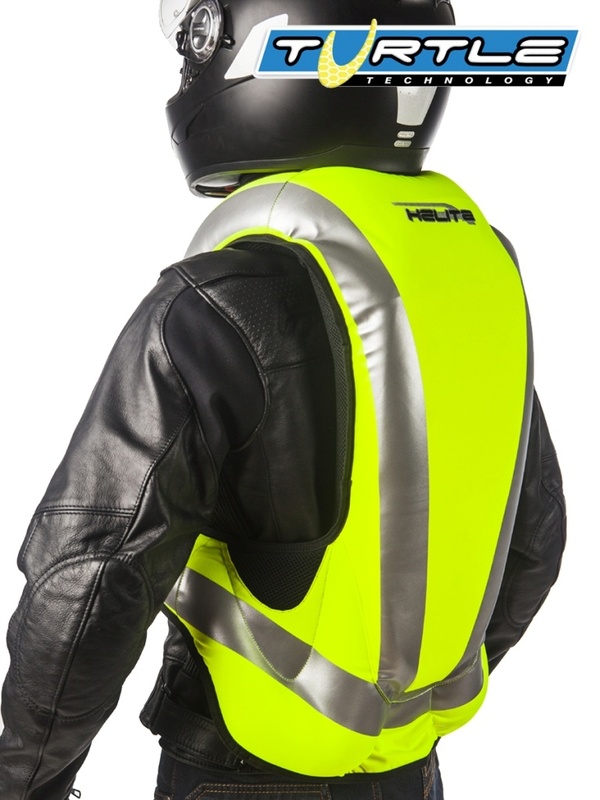 This color is now worn and appreciated by bikers for whom safety is the top priority as a tools for preventing road accidents. More than a bib, the Hi-Viz vest has an elegant look to put on over all motorcycle jackets. The clips to close the jacket are sturdy and easy to handle even with gloves and stiffed cold hands. 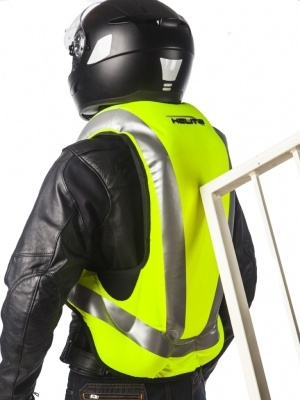 This new technology, like a Turtle's shell, works under the same principle as the biker's helmet: on the outside, a rigid shell (the dorsal) covering the soft material inside in contact with the body (the airbag). The synergy between the hard hull and the airbag is remarkably effective during an impact against a sidewalk, a safety slide, a signpost, etc..
Every airbag comes with a user guide. 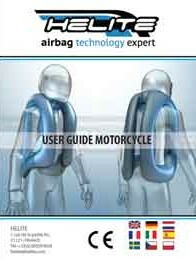 The user guide will explain you how to use and take care of your motorcycle airbag, how to install the cord and reactivate your system after inflation. Our team is at your service, even after your purchase if you have any doubt about the correct use of your inflatable life savior. A. Measure from the floor to the top of your head.